I did it again! 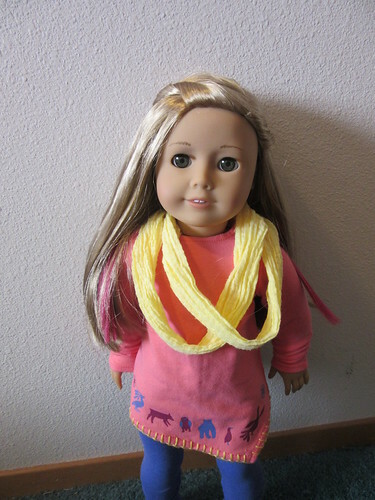 I tried Maplelea clothes on American Girl dolls. 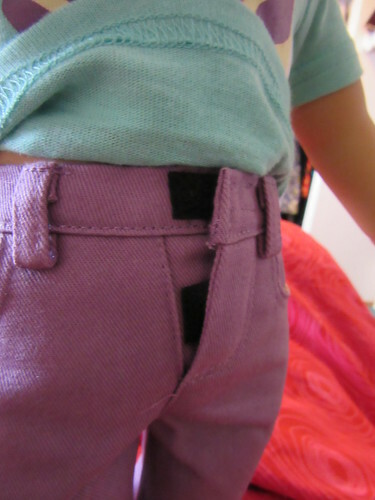 This time I took the clothes from Saila’s collection. The first photo is of 3 outfits that fit perfectly, with no surprise. 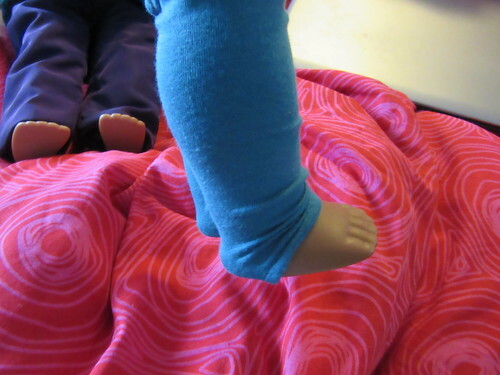 They are Saila’s swimsuit, Saila’s pajamas, and a knit dress called Katajjaq Giggles. Next up is a photo of 3 outfits that had fit issues: Sweet Saxifrage, Tunic Time, and Ptarmigans Rock. Sonali looks pretty cute in the Saila’s tunic sweater, but she cannot get the leggings on over her feet. 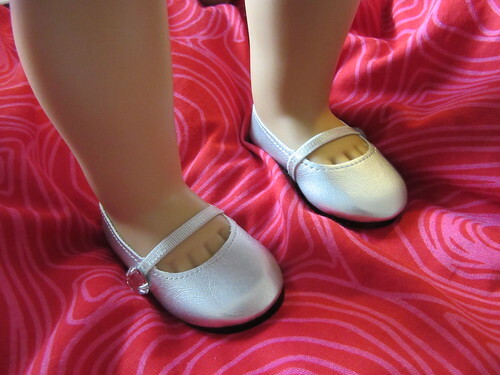 If you are interested in buying this outfit for your American Girl dolls, it wouldn’t be a big deal to cut a little snip at the ankle to be able to fit. And I’ve saved the best for last. 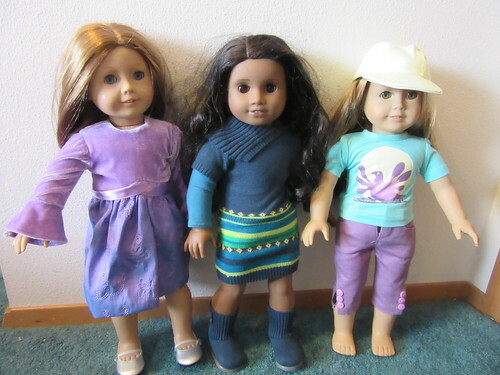 These 3 outfits not only fit well, but they also look adorable. 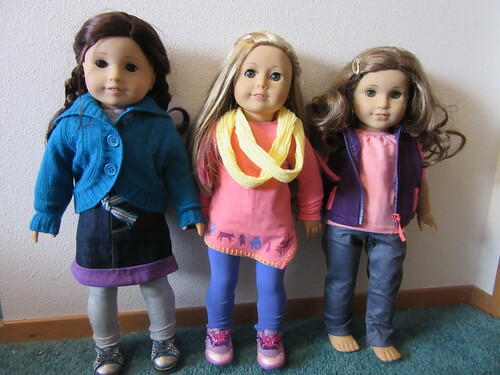 Here are Jess in Nunavut Now, Isabelle in Artfully Inspired, and Rebecca in the clothes that come on the Saila doll. I absolutely love Isabelle in this outfit. I imagine fashion designer Isabelle painting and blanket stitching this top herself, to commemorate a Canadian vacation. And, it looks cute with her pink extensions. I didn’t put Saila’s amauti on anyone today. I just wasn’t in the mood to mess up dolly hair with the amauti’s traditional over-the-head fit. I’m pretty sure it will fit, and I highly recommend the coat to all dolly owners. Did you know it is actually made in Nunavut?